Do You Want to Sell Your Commercial Property Fast in Kingwood, Texas? We Buy Commercial Real Estate in Any Condition for Cash in Kingwood! Request a cash offer for your commercial property from our Kingwood investors by filling out this quick form or calling our local office at (877) 717-2087. After reviewing the details about your property, our team member will contact you to schedule a visit to come see your Kingwood property. After getting a more clear picture of your property’s condition, we’ll give you an all-cash, fair offer based on your local Kingwood’s market value. Can I count on my commercial real estate property to be sold as quickly as possible with Property Cashin? It will be a quick transaction. Property Cashin is all about giving customers what they need, which is speedy and top-notch service. Waiting for weeks for a representative to get in contact with you is not what we do. We value your time greatly because we understand that there are certain life incidents that you cannot avoid. We are here to make life easier for you. Our real estate transactions are faster than our competitors’ transactions. Can I request cash for the payment of my Kingwood, TX property? Yes. 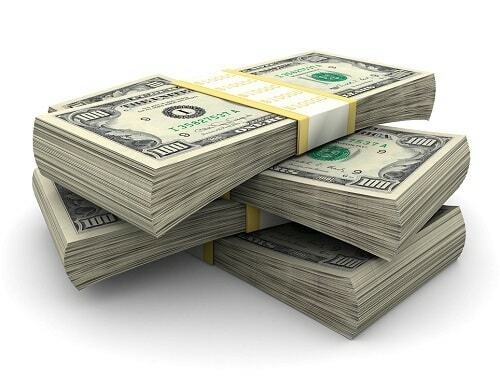 Once your appointment with us has been scheduled, and we have seen the property you want to sell, we will offer cash. This is how we pay our clients for their commercial real estate properties. Our clients get to pick the date on which they can receive their cash as well. We are here to make buying your property easier. Are there any fees that I need to pay so that I can sell my Kingwood real estate property? No extra fees! We try to be as open with each client as we possibly can. Property Cashin keeps a simple process so that you won’t be overwhelmed or intimidated. There is no need to jump through hoops because all you have to do is schedule an appointment with us, let us visit your property, and you will receive a reasonable cash offer. Many owners have experienced more foreclosures in the Kingwood area. They have been struggling to make payments to their lenders. On top of putting your business at risk, it can make you anxious about its future. You can avoid a lender foreclosing your commercial property by looking to Property Cashin to purchase it. We can schedule an appointment with you and make sure that you are well taken care of. Instead of worrying about how you are going to make your next payment, sell your real estate to us. You can always use the money from the real estate transaction to make a fresh start with new property. It’s tough to experience a loss of revenue in your business. Things that were once consistent or growing are now diminishing. While it can be a scary realization, it doesn’t have to leave you feeling defeated or helpless. Maybe allowing Property Cashin to buy your commercial real estate property could be your next move. This will relieve you of the stress of losing more customers or employees. Doing business with us could be just what you need. With extra money in your pocket from your sold property, you can consider different business approaches. Revenue loss doesn’t have to be the end of your business career. The last thing you were expecting was to be sued. The legal process can be daunting. A situation has taken a turn for the worst, and now you are in a sticky predicament. Maybe a discrepancy with an employee or customer has escalated. Perhaps another business is complaining about a transaction gone wrong. Lawsuits such as these can be pretty bad for business and employee morale. Your quality of service might even be called into question. Nevertheless, selling your property could lend a helping hand in dealing with the court and settlement costs. This could be the opportunity you need to rebrand or step away from the business. While partners sometimes have disagreements about how to advance in their businesses, companies suffer because of people’s unwillingness to compromise. If an agreement cannot be established, and both parties are unable to communicate effectively, selling the property might be the next best option. Property Cashin can buy your commercial real estate before it’s too late. We don’t want your business to undergo anymore distress than it already has. We are able to cooperate with both partners so you obtain your cash offer for the property. Maybe it is time to branch out and start your own business. This cash could help the beginning stages of your new career. Older property or property that has been through a lot of renovation over the years is more likely to fall apart. Constant repairs on your building accumulate and can put a strain on your funds. Why waste any more money on property that continues to break? Let Property Cashin purchase it! Save yourself from anymore costly repairs. We won’t require you to perform renovations on your property before you sell it to us. We will take it in its current condition. This is the perfect opportunity for you to sell with us and look for a new location that requires less maintenance. Moving into a new property can help with the changes that happen in your business. If your company is growing, buying a bigger property could house more customers and merchandise. If your company is experiencing less customer traffic, it might be wise to consider downsizing to a slightly smaller location. Spending less money on property allows you to allocate some of your funds to different business projects. You don’t want to work beyond your means. Sell your commercial building for fast cash. We at Property Cashin specializes in buying commercial property holdings and providing owners with quick cash for them. Unfortunately, we can’t predict when tough life situations will happen. We can only handle so much on our plates before they become too heavy to carry. Family troubles, loss of loved ones, sickness, divorce, and other factors can distract you from efficiently managing your property. It’s very important for you to take some time to remedy some of your personal issues before diving back into your business. Why try to handle all of those consuming situations on top of managing of your business when you can sell your property to Property Cashin? We can visit your building and give you a cash offer instantaneously. Are expenses accumulating to the point where you don’t know how you will be able to pay for them? Payments and fees are adding up, and you might be worried that some financial obligations will fall through the cracks? Don’t stress yourself out. Look to Property Cashin for the solution: sell your commercial real estate property as soon as you can. This cash-out could be the answer you’ve been looking for. We will provide high-quality and personalized service for you because you deserve it. Our clients are important to us. Sell your property and receive the equity you are entitled to. Nobody likes to wait. At Property Cashin, we understand that you don’t have time to sit around waiting for a deal to go through. When we buy properties for cash, we work hard to make every step of the process go quickly. We open with a fair offer based on current market price and streamline negotiations to give you a deal you’re happy with. We’ve got the funds available to close a transaction without the need to get a loan or approval from a parent company. When you want to sell your commercial property in Kingwood, TX fast, we’re the best choice. Our experience lets us place offers on properties in any condition. We can give you quick cash for your warehouse, retail space, restaurant, housing complex, or other commercial property. You and your business will be free from any stagnant investments you’ve made in the past. You’ll get a quick injection of liquidity to help you move forward. Choose Property Cashin today to start the process. Let us show you how fast and painless selling your commercial property can be!